What is VAT and the current rate of VAT in UAE? Value Added Tax, or abbreviated to “VAT”. VAT is an indirect tax that applies to sales and purchases i.e. it is a transaction based tax. VAT operates at each level of the supply chain from producer, manufacturer, wholesaler and retailer; this ultimately ensures that VAT is accounted for at each stage of the supply chain until it finally rests with the end user. The standard rate of VAT in the UAE is 5%. VAT will be printed on the POS receipt sent along with the merchant invoice for the placed order in GoShoppi. Please note, specific goods and services may be subject to the 0% rate of VAT or may be VAT exempt. Goshoppi is UAE’s unique e-commerce platform that helps you to order grocery, bakery, fruits & vegetables, electronics, apparel, cosmetics and other day-to-day products that you need via user-friendly Web, iOS and Android mobile app's. Goshoppi mobile app's are available for free to download from Android and IOS app stores. You can choose from over 10,000 products spread across various categories such as grocery, bakery, bread & dairy, fruits & vegetables, beverages, personal care, home care, baby care, pet care and much more. Goshoppi currently operates in Dubai and Sharjah in UAE. How do I register on Goshoppi? You can register on Goshoppi by clicking on the "Sign Up" link at the top right corner of the homepage. Please provide the information in the form that appears. 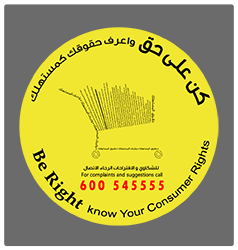 You can review the terms and conditions, provide your details and submit the registration information. Do I have to necessarily register to shop on Goshoppi? You can surf and add products to the cart without registration but only registered shoppers will be able to checkout and place orders. Registered members have to be logged in at the time of checking out the cart. You will be prompted to do so if you are not logged in. My Account is the section you reach when you log in on Goshoppi. My Account allows you to track your active orders, you can see your order history and update your contact details. What is My Shoppi Lists? My Shoppi Lists is a comprehensive list of all the items that are marked as favorite by you on Goshoppi. This enables you to shop quickly and reorder easily in future. All the details of the order including its present status are in Order History under My Orders tab in the app and in the web. You can edit your order in the cart before checkout. If you’ve already placed your order, you can cancel or reorder with the required list from the app and from the website. Yes. At the checkout page, you can select a delivery slot of your choice and we also have store pickup option. We deliver to almost all the localities across the cities we are present in. You can edit your location settings to check if we deliver in your area. Each store has a minimum order value to qualify for free delivery. In case you do not reach the limit, a delivery charge will be levied against that order. Do you charge any amount over and above the rates shown? No, we do not charge anything over and above the rates shown. However, we do have a delivery fee in case the order per store does not reach the minimum order value for free delivery. Every store has its own delivery charges, which are waived off if you order above a specified minimum amount from the store. The minimum charges and the delivery charges will be mentioned on the app and on web in the checkout page. How can I make payments at Goshoppi? Cash on delivery (COD) is available for payment along with the merchant specific payment methods. Goshoppi provides easy and hassle free cancellation. You can cancel your order via the app or web before it is Accepted by the store. This option is available under the My Orders tab in View Details.